Here is just a few cheeky snaps we took of our Blue Rinse Leeds bitchez just to show you what they have been wearing when they come to work! 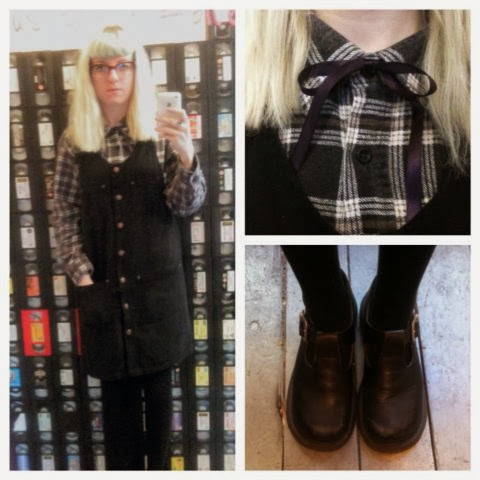 Emily Looking cute in a vintage Flannel and pinafore and some cheeky Mary Jane Doc's to finish off ! 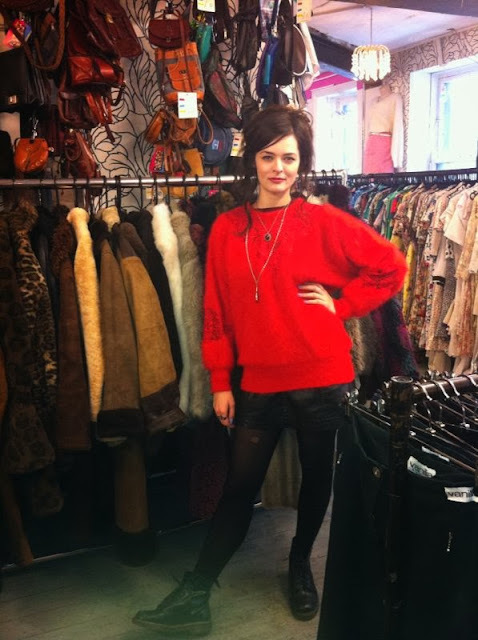 This is a customer who came in our store we didnt catch her name but she looked bloody good! 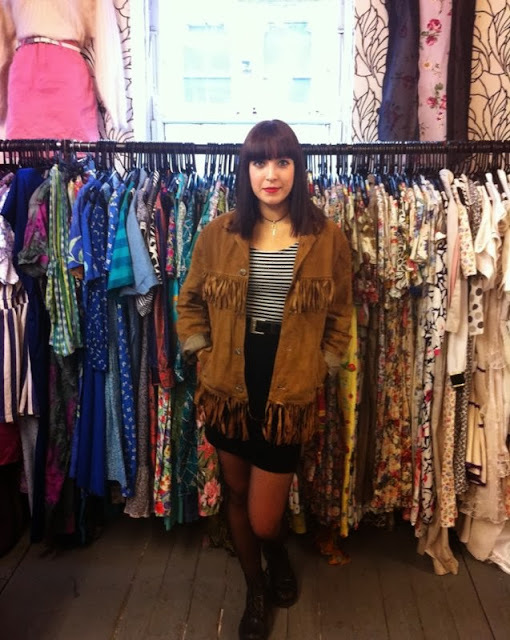 also dont forget to #bluerinsevintage on Instagram to show us how good you look in our Vintage Garm's !